The Bible is full of pastoral or practical theology. The Bible is is not a work of systematic theology, biblical theology, philosophical theology, or historical theology. 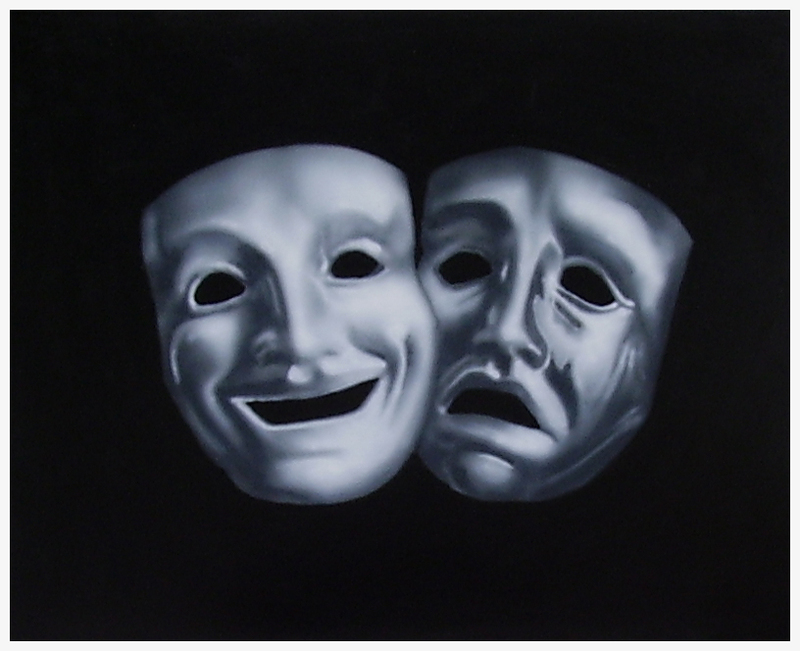 But many parts of it involve Practical Theology… including whole books of the Bible (Ecclesiastes, and Habakkuk). The Psalmist is taking God’s revelation, history, and personal experience and reflecting on them and integrating them to gain personal theological insight. While we may call this a Psalm or a Song, it is more like a corporate prayer. This is very God centered. By God’s hand, they drove out nations, crushed people… made the Israelites to flourish. This is because of God’s love. As a response, the Israelites claim God’s past care, and they push back enemies, trample foes. And like the past, they recognize it is God’s work, not their own. Because of this, they boast in the Lord and praise His name forever. Something has changed. Before, it was victory after victory. Success after success. In verse 8, the people praise God and boast in the Lord. It is easy to do so, when things are going well. But it is not so easy when comes defeat after defeat. Failure after failure. This is a part that the Psalmist struggles with. The Psalmist says… the defeat after defeat is NOT due to sin, idolatry, or rejection of God. Israel has been faithful… but God has turned His back on us. Theological reflection is so important when things are going bad… often more so than when things are going well. Because when things are going well… going as expected we think it is because we do the right things and we think the right things. But when things start going wrong… it is a time for reflection and prayer… a time to learn and to grow. The Psalmist, after reflecting, comes to action. The action is to call out to God. You may notice something here… the mystery remains unsolved. God appears to have rejected us. We have done nothing wrong. Why? No answer answer is give… Now you and I might easily come up with an answer. Or one could pull some from an Existential Theology. Life and growth comes from enduring suffering. “God is teaching humility. Victory and success can lead to pride. You need humility.” Of course it is easy to tell someone else that they need humility. It is not so easy to be the one who is humbled. The Psalmist does not give an answer… He cries out to God for help. He believes that God will ultimately vindicate and rescue… because God is a God of unfailing love. But as far as reasons go, He leaves the reader or the singer to ponder the question. That is not such a bad idea. When Typhoon Yolanda came along, there were so-called prophets around the world who were stating that it was God’s punishment for sins… for not being an effective witness to the world… or for government corruption… or for homosexuality… or whatever. But these so-called prophets don’t know anything more than we do. I believe they just like to talk more. The Psalmist, I believe, took the sound theological response. He left the WHY for each to ponder… but then responded as in a real way. The song/prayer was an honest cry out to God from a position of frustration, desperation, and pain— emotional honest built on a foundation of faith and hope. The grand narrative (eschatological history) of the Bible has “horizontal,” “vertical,” spiritual, social, and physical components. Paradise in Genesis 1, as well as restored paradise in Isaiah and Revelation have these components. 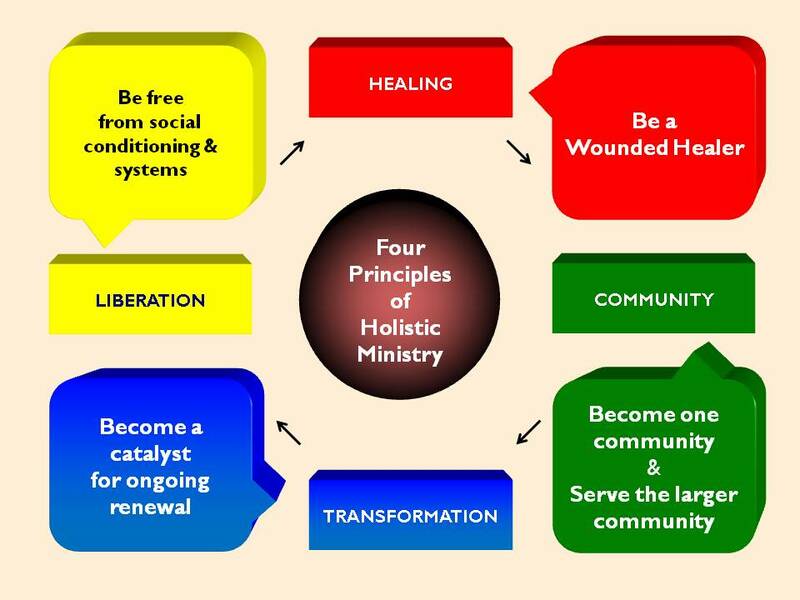 As such, God’s redemptive work has these holistic components. The various “Great Commissions” are secondary applications of the Great Commandment of Christ. In fact, the John version of the Great Commission points back to serving with Christ as model. As such, any view that the obedience to the Great Commission can be done without proclamation, or without active concern for people’s social and physical context is clearly sub-Biblical. 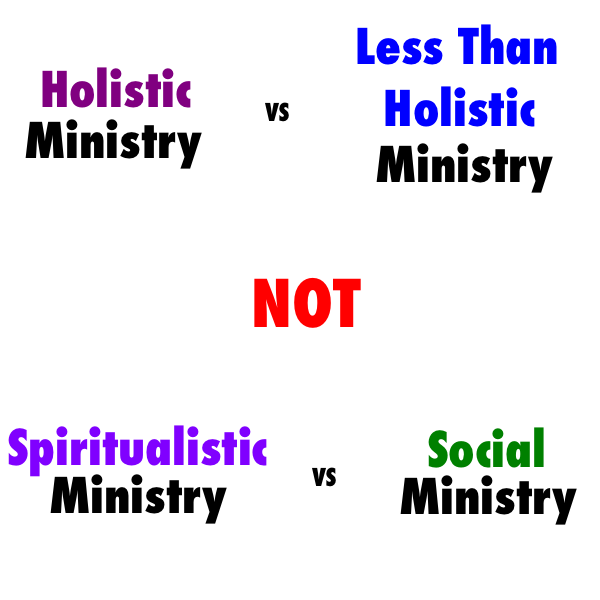 Since Jesus ministry was holistic, not simply spiritual or social, the question for us is whether we are to do holistic ministry or less than holistic ministry. Any arguments that seek to pull the issue back to spiritual (proclamation) ministry versus social ministry is trying resurrect the Liberal/Fundamental arguments of 100 years ago, not deal realistically with God’s Word and God’s Mission. I was looking through an old workbook. 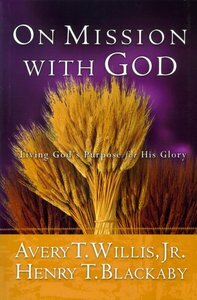 It was for a small group study “On Mission With God,” by Blackaby and Willis. It looks at Christian mission from the context of the lives of several Bible characters. It is a nice group study to gain a perspective of how one would serve God in a missional capacity. I did this study at a time that my wife and I were seriously considering redirecting our lives to full-time missionary work. Looking in the workbook, it asked who inspired me in my mission journey. I had written two names. I could have written three names, but the third was leading that small group study, so I did not add him. Looking back, I see commonality in all three: Al, George, and Dan. Belief in Me. Each one believed that I could serve God in a capacity that I had not before. Each was maturely active in ministry, so their belief gave me belief in myself. Mentoring. Each one gave responsibility, but in a way that I was able to learn through and with them. I was not as the baby thrown into the river in hopes I would learn to swim. The learning was more like how the disciples learned with Christ, or Elisha learned with Elijah. Freedom. While they mentored me, allowing me to work with them and be guided by them, they also gave me the freedom to do things my way. I had their permission to try new things, and even make mistakes. One could use the term “Trust.” They trusted not that I wouldn’t make a mistake, but that I could learn from my mistakes. Looking back, I realize how important those three elements are. I have had many people impact me in my ministry life, but these three were there at a time when I was just starting to realize that I can follow God in the unblazed trails. I needed faith in me. You might suggest that I need faith in God. I needed to have faith in God, but much of that is faith that God had made me— fitted me out for missions. The faith of these individuals was not based on unwarranted optimism nor surety that I would do everything right… but confidence that I could grow into new responsibilities and get help when I needed it. I needed someone who would be with me in the learning process as a model and partial guide… but still willing to let me blaze my own trail to some extent. They allowed my vision to be different than their visions. I have also been part of churches or ministries that were far more authoritarian. It is strange how authoritarian groups often pride themselves in effective discipling or mentoring. But that is EXACTLY WHAT THEY ARE BAD AT. This wasn’t so clear to me until I looked back in retrospect. Authoritarian groups don’t trust and don’t give freedom. They mentor… but only to keep one on the trails they marked. It makes me realize that I need to develop these qualities to inspire others. I need to identify those who I believe God has called for greater service, and then make it clear to them my belief in them. I need to mentor them– spending time with them and working with them… not simply working for them or they working for me. I must serve as a model for them, but give them freedom to find to establish their own unblazed trails. All my life I have lived and worked in the big city, which, now that I think of it, is a problem. Since I always feel uncomfortable around crowds– i mean I have this fear of enclosed space. Everything makes me feel trapped all the time. I always tell myself that there has to be something better out there, but maybe I think too much. I think everything must go back to the thought that I had a very anxious childhood, you know; my mother had time for me. You know, when you’re the middle child of five million you don’t get any attention. I mean how is it possible? And I have always had this abandonment issue, which plagues me. My father was basically a drone, like I’ve said. And, you know, he flew away when I was just a larva. And my job– don’t get me started because it really annoys me. I was not cut out to be a worker– I’ll tell you that right now. I feel physically inadequate. My whole life I have never been able to lift more than ten times my own body weight. And when you get down to it, handling dirt, you know; is not my idea of a rewarding career. It is the whole gung-ho super organization I can’t get– I have tried but I can’t get it. What is it? I am supposed to be doing everything for the colony. And what about my needs? What about me? I gotta believe there is someplace out there that’s better than this. Otherwise I will just curl up in a larva position and weep. The whole system makes me feel insignificant. “Z” is challenged in his understanding of himself in terms of the team he is in. He is part of an anthill… a large group of enmeshed insects who have lost their individual uniqueness due to the drive to conform to corporate standards. Z feels disconnected and insignificant. Now you might think that his problems are unique because he does not fit in, but that is not true. In enmeshed organizations, the pressure to conform to corporate standards crushes the spirit and puts a strain on all its members— even those who conform well (except the authoritarian leaders, who typically avoid the pressure by not applying the standards to themselves). Within the church, the problem is often exacerbated. In cultural anthropology we learn that the most authoritarian groups are commonly those where the role of chief (political leader) and shaman (religious leader) are in the hands of the same person. Enmeshed religious groups often have this problem. Spiritual and political authority are in the hands of the same person. This is a sub-biblical position although many don’t see it that way. Some argue for a high view of submission to authority. However, in the Bible, submission (except to God) always have caveats. It is always nuanced, and mutual. Leadership in the Bible commonly separates ecclesiastical authority from political authority. In the sodality band of Jesus, Jesus appears to have leadership both organizationally and spiritually, but He seems to have sought to minimize many aspects of organizational control. He refused to act as a judge in a civil case. He apparently allowed Judas to act as treasurer with minimal oversight. He challenged the ethics and values of religious leaders, but did not question their actual right to lead. He did not challenge those with common purpose who served independently from His group. Moses passed responsibility for religious affairs to Aaron and his descendents. The prophets and judges provided spiritual authority in ancient Israel but apparently did not try to take over the roles of Tribal leaders, kings, or priests. In the New Testament… there were separate roles in the church for spiritual leadership and ministerial leadership, and appeared to minimize power centralization (Diotrephes is an unpleasant cautionary exception in III John). The church is composed of its members– each one a living stone in the spiritual edifice of the church… each unique and each important. An enmeshment where uniqueness of individuals is squelched is sub-biblical. Enmeshments are common… especially in church because of Christian’s misunderstanding of Biblical submission, authority, and power. However, even more common are Aggregates. One could argue that aggregates are the norm. They are a gathering of people without common function (or at least of minimal common function or purpose). Churches have commonly become gatherings of people for one or two hours a week with little social interaction and impact on each other. 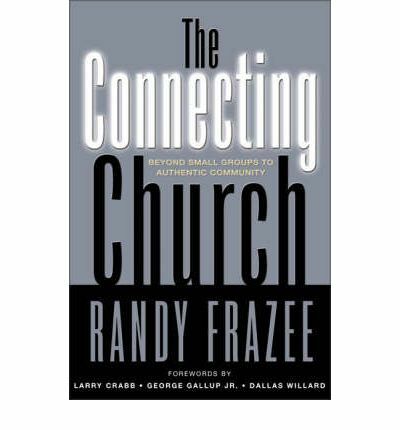 Many churches realized this and so formed small groups… but in fact, they simply created small aggregates. People gather together without accountability, common beliefs, common standards, rituals, and so forth. There is no implicit understanding of responsibility or mutuality between each other. It is Individuality enthroned in a religious gathering. It is hardly surprising that small groups worldwide have failed in living up their promises in discipleship. Both gatherings, in fact, fail in discipleship. Aggregates fail to have “iron sharpening iron.” Lily Tomlin’s quote tends to apply… “We are all in this, alone.” Small group aggregates tend to focus on cognitive training… here are some teaching to learn… a few memory verses to think about. With no accountability, there is minimal support. Enmeshed religious groups often market themselves as being strong in discipleship. In fact, one of the biggest enmeshment movements in recent times was often called the “Discipleship Movement.” However, being a disciple is to grow to one’s God-given potential (one’s SHAPE) within a structure, rather than having the individuality minimized or castigated. They tend to create Dependence rather than Discipleship. While Enmeshments have the potential, at least, to be strong in holistic growth of members, they, like Aggregates, tend to be cognitively focused… memorizing teaching after teaching after teaching. This seems to be lingering tradition from the old “Modern” viewpoint that gives unwarranted supremacy to knowledge. People grow and find meaning as they interact positively, both as individuals and as a corporate entity. People need a corporate identity and support structure beyond themselves, but one that does not crush the God-given uniqueness of each individual. 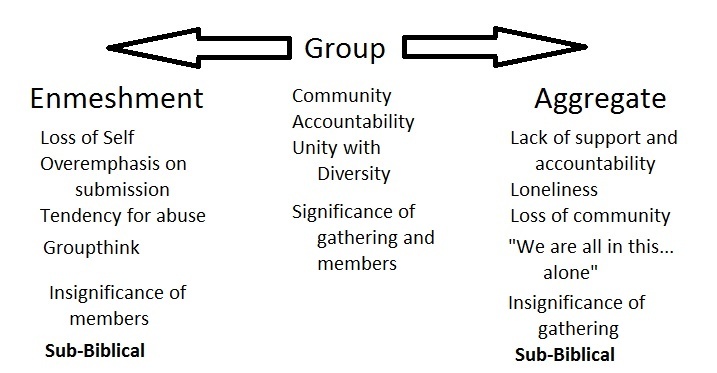 The figure of a spectrum above with an Enmeshment on one side (creating insignificant individuals in a potentially abusive gathering) to an Aggregate on the other (creating disconnected individuals in a potentially insignificant gathering) identifies what churches tend to gravity to— the extremes rather than the balance. Group dynamics gives insight somewhat in where the balance lies… and I believe that balance is Biblical, rather than sub-Biblical. Recognized Authority. This is not shutting down one’s mind and blindly submitting to one who is unaccountable for his or her actions (Enmeshment). Neither is it going along with the group or leaders, but only if it is convenient (Aggregate). With small groups, the authority is often mutual… the group guiding the individuals… rather than one autocratically guiding the rest. The point is that there is accountability. Members have the right, and responsibility, to challenge each other, in love, for their own benefit, and the benefit of the group. This is the essence of interdependence. We need each other. Common Creed. There is a certain common set of beliefs that provide the foundation for the group’s establishment and providing guidance for the purpose of the group. Common Traditions. The group needs to have common set of customs, traditions, and symbols. Some of these may predate the group, and be tied to the faith tradition of the members. Other ones may be specific to the group as the group develops its own unique sub-culture. Common Standards. This is also called group norms. The group needs to establish how it will function, what behavior is supported and what is not. How are conflicts resolved? How are moral or ethical violations dealt with? How are group course directions worked out. These norms or standards are empowered by the accountability structure (that comes from recognized authority), as well as common creed and traditions. Common Mission. Each group is different and can, and should, have different functions. Many religious structures focus on one type or another. Some focus on “Cells” or “Discipleship Groups” or “Evangelistic Bible Studies.” Some focus on open groups or closed groups. Some aim for mission-oriented groups while other as fellowship groups. However, every real group has an understood mission that is mutually agreed upon (preferably coming from the group, and not simply imposed from outside). This buy-in of mission or purpose, drives the group to interact interdependently… leading to both individual and corporate growth. This seems like a good place to stop for now. Finding the balance is tough… it is countercultural, and we find it much easier to be cultural. It is tough, but it is worth it. Christ is always countercultural. Countercultural to the world and countercultural to the church.